After a punishing year of food-safety concerns, Chipotle dropped one of its CEOs and prepared to improve its in-store experience as its financial woes bled into 2017. Chipotle temporarily shuts down dozens of its West Coast locations after public health officials link the burrito chain to an outbreak of E. coli in the months following separate outbreaks of norovirus in California and salmonella in Minnesota. A federal investigation is underway, supported by several public health officials at the state level. In the weeks before, the fast-food chain parted ways with AOR Edelman. Chipotle analyzes the ways in which it will handle the E. coli crisis in a statement, such as closing possibly infected locations, sanitizing its restaurants, and replacing all food items. Chipotle gets blindsided with a second (but smaller) E. coli outbreak in the same month a norovirus outbreak at Boston College sends at least 120 students to doctors. Federal officials declare Chipotle’s two E. coli’s outbreaks over. The burrito maker follows up by halting in-store operations for lunchtime at all locations, hosting a nationwide retraining session on food-safety procedures held via conference video. 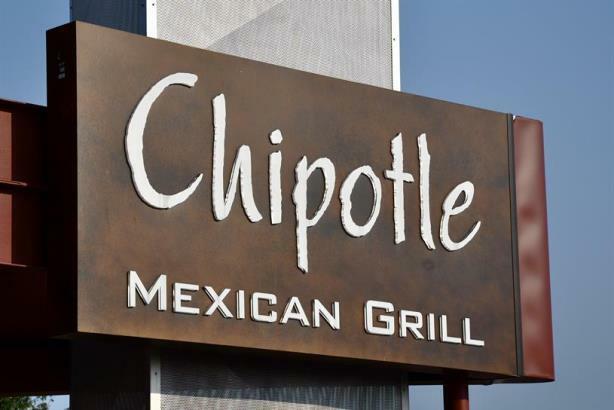 A Chipotle location in Billerica, Massachusetts, closes after an employee tests positive for norovirus. As a Huffington Post report puts it: "AGAIN?!" Burson-Marsteller recently picked as Chipotle AOR. Pershing Square Capital Management, led by activist investor William Ackman, becomes the second-largest shareholder in the ailing company, revealing it owns a 9.9% stake. No stranger to fast-food chains, Ackman’s firm had invested in McDonald’s, Burger King, and Tim Horton’s. Co-CEO Montgomery Moran steps down, leaving founder Steve Ells as the company’s sole chief executive amid a 30% drop in sales. But Chipotle’s problems may lie deeper than public perception about the chain’s safety. Chipotle executives including CMO Mark Crumpacker, who returned to his position after being placed on leave for a cocaine arrest, identified poor in-store experiences as the main driver of poor sales. Customers frequently face long lines, messy dining areas, and a shortage of ingredients. The burrito maker forges ahead with plans to open at least 195 restaurants next year. Chipotle and Ackman reach a settlement that gives his firm two seats on the company’s 12-member board, while Pershing Square agrees it won’t comment publicly on the company. A miss, but barely. Here is yet another case where a crisis not of the comms department’s making threatens to swallow the company whole. But at the end of the day, Chipotle’s reputation is damaged. And despite its best internal efforts, comms failed to get customers back into stores. CGI shorts are cute, but they don’t calm an upset stomach or cut down lines. A fairy tale doesn’t change reality. Reputation is based on how people interact with a brand. And people will remember the Chipotle brand by its shoddy service and unsafe product, not high production values.